Selecting a diamond ring can be one of the most stressful parts of the ring shopping process. Anyone can wear the diamond shape that they love, but you must be sure that the ring itself fits your finger’s length and shape. If you have long fingers, you can wear any style of ring. Hand models normally have long fingers. Long fingers are versatile because they let any ring shape truly shine. If you have small fingers, you should consider a ring that helps to elongate your fingers. Slimmer styles work best. Tapered mounts are also very flattering. Finding a ring style that is suitable for a wide finger is simple. Rings worn on wide fingers can look really great with the implementation of split shank designs. If you are still unsure of what ring might look best on your hand, contact a us. Since 1850, Preusser Jewelers has been offering elegant and attractive bridal jewelry to discerning customers. 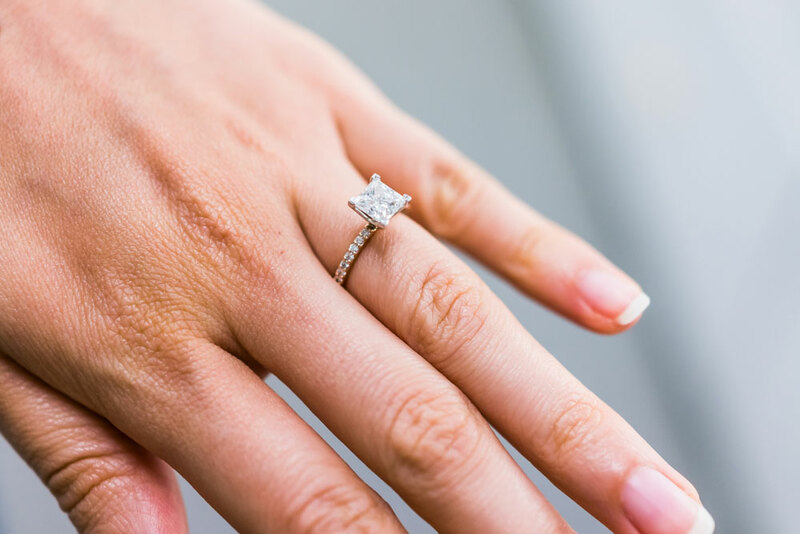 With custom options and designer collections available, we can assist you in choosing a diamond cut and setting perfect for you. Contact us today for more information.